We have had a wonderful week, the tulips are at peak blooming and the Keukenhof looks so beautiful now. Unfortunately the Tulips in the fields are being headed.Make sure you visit soon if you want to see them. The crocuses are gone, the hyacinths are done blooming, most daffodils are done blooming and the regular tulips are in peak blooming. Unfortunately I saw the first machines heading the tulip fields last Friday. 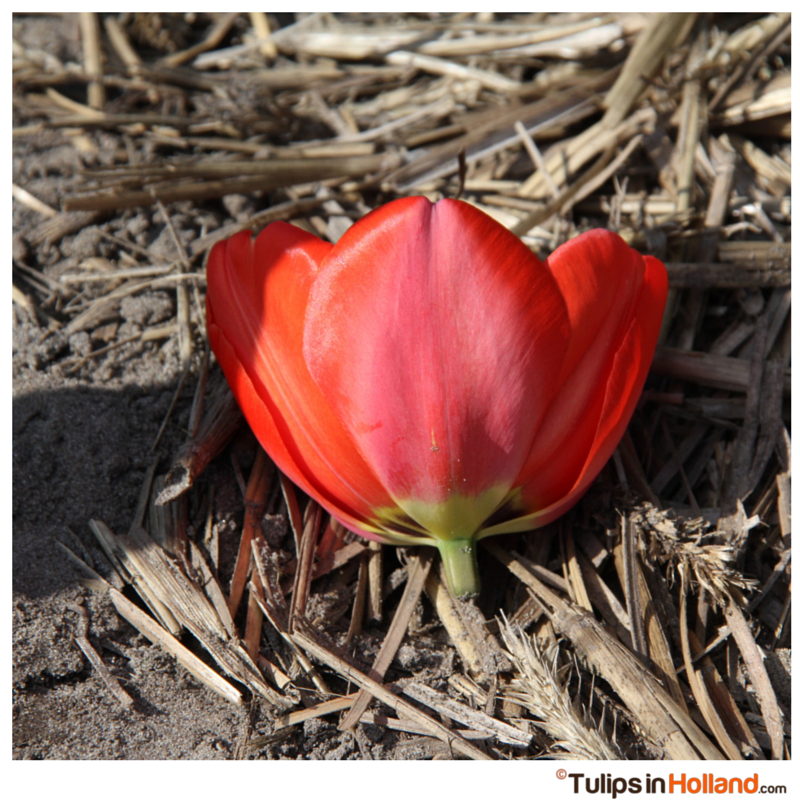 If you are planning a visit to see the tulip fields please travel as soon as possible. Heading of the fields is usually going very fast. I expect that most fields will be headed by the next weekend. Any field left after it will be luck for all people who are traveling to the Keukenhof area. I know that the heading is needed to strengthen the bulb so every one around the world can enjoy the bulbs next springtime. But it is still a terrible sight to see a machine topping the tulips. The Keukenhof is so beautiful at the moment. Lots of tulips in full bloom and even some places with tulips that have to start blooming. I expect to see a lovely Keukenhof till the end of season. Yesterday I have uploaded the photos of last weekend. Have a look for yourself to see what the current status is. Inside the Keukenhof the crocus are gone, the the daffodils are getting to over peak blooming and some of them are gone, the hyacinths are almost done blooming and de regular tulips are in full blooming. It is a lovely sight! Last weekend the Lily exhibition, the largest in Europe, has opened in the Willem Alexander Pavillon. Lots of bow and rows with the most beautiful lilies. It really makes a great photo opportunity next to or under the lilies. The weather forecast for the next week predicts rain and sunshine together. Don’t forget to bring a waterproof jacket when visiting! For the tulip fields I expect that the fields will be headed by next weekend. If there are some blooming fields left you are lucky. If you are planning to bike around have a look from the windmill platform to see if there are any fields left. And have a look at the left just before you turn to the parking lot of Keukenhof. If you don’t see any color there, there is a big chance that lots of fields will be headed. With the present blooming I expect that the Keukenhof will look wonderful till the end of season. We are celebrating Mothers Day in the Netherlands this Sunday. If you still need a Mothers Day gift have a look at the tulip ideas on our blog. Is there still many tulips at that moment? Hi Becky, yes in the garden the tulips are still in bloom. Outside the garden the tulips are getting headed. What do you forecast for 16-17 May? Unfortunately I didn’t make to visit Holland earlier. Is there any chance to find a latest field (even a square) from 16/05 to 24/05? And if yes (I am praying for it), where? The tulips in the fields are headed already. Your chance to see tulips is at the Keukenhof and they are open until 7.30 pm on the 17th of May. After that you have to wait for next springtime.